When is the right time to let your child walk to school alone? It is a difficult time for many parents, as it’s a sign that their children are growing up. They need the independence, but at the same time you want to make sure they are ready and able to do this. Here are five tips to help your kids walk to school alone. Before you follow the rest of the walking to school alone tips, you need to make sure that your little one is ready. Depending on your state, there may be different rules regarding age for walking alone and this is something you will need to consider. 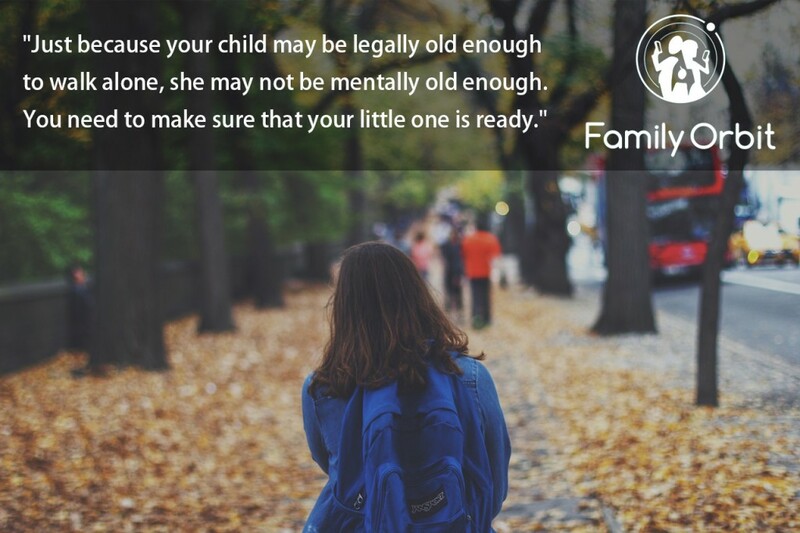 However, just because your child may be legally old enough, he or she may not be mentally old enough. Look at how well your child does with following orders on a regular day. What is he or she like when it comes to crossing roads? It’s also worth considering the distance your child will have to walk. It may be easier to let kids walk to school alone in groups together first, as they may be mentally able to cope with that before being completely alone. When you decide your child is old enough, it’s time to start the process to allow them this independence. You won’t want to allow it right away. Start by walking a few paces behind, so your child has the sense of independence but knows you’re looking out for him or her should something happen. While children will say they want to walk alone, there is that initial fear that you’re not going to be there. Knowing you’re a few steps behind will allow some peace and confidence. Build the distance you walk away from your child over time. Eventually you will be so far away that it will be fine to stay at home. It is much safer to stick to the streets that are most frequented by people. The shortcuts may reduce the time to walk, but they can also be where attackers and predators are more likely to be. Discuss the dangers with your children, and explain why they need to remain on the busier streets. If something does happen, whether it is being attacked or an accident occurs, they are more likely to be able to call for help. Children often feel that being independent means that they can cross wherever they want. They get the sense to take more risks, but this is dangerous. The fourth on the list of walking to school alone tips is to only use the crosswalks. Some of this will come to explaining why the crosswalks are safer, since drivers are more likely to stop. You’ll also want to explain the dangers of stepping out from behind parked cars, shrubbery and other things that can block a driver’s view. Also make it clear that the children need to walk and not run out into the road. Too many people put their wallets and phones in their back pockets or in front sections of their school bags. This is a bad idea as they are more likely to be stolen. Help your child understand the dangers and give practical tips on how to store wallets and phones safely. Now is the time to help your kids walk to school alone. Get your child ready mentally and go through all the rules. Your child will love the independence, and you’ll have peace of mind that he or she will be safe and sound.